“White Man’s Burden”, a colonial euphemism for what Marthe Raymond calls “White Supremacy Colonialism” is a subconscious driver behind what Canada and its allies are currently imposing on Syria. According to this “logic”, we can bomb and slaughter and behead and deny food and medicine and almost everything else to Syrians because, apparently, they DO NOT HAVE HUMAN RIGHTS. It is the “logic” of imperialism. As soon as you go to Syria and meet Syrians, the logic is totally destroyed, and the “civilized” mask of imperialists disintegrates and reveals them for what they are: war criminals. Whereas colonial logic would have us believe that we are superior to Syrians, the inverse is true on many levels. For example, whereas Canada and its allies support al Qaeda in Syria, Syria and Syrians are (successfully) combatting al Qaeda. 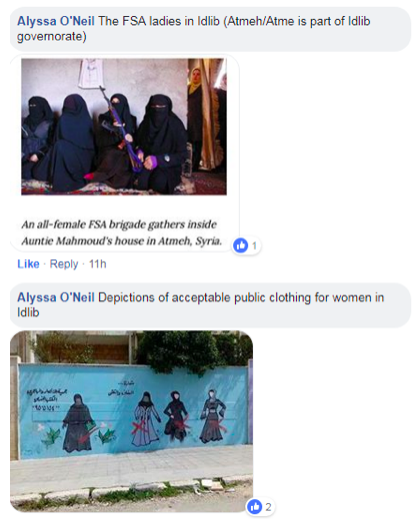 Whereas Canada and its allies support sectarianism and fundamentalist interpretations of Sharia law, as observed in terrorist-occupied areas of Syria, the Syrian government supports the opposite: democracy, pluralism, and non-sectarianism. “(u)nder the Saudi-backed sectarian terror groups (mainly Jaysh al Islam, Faylaq al Rahman, and Jabhat al Nusra), all schools had been closed, commandeered by the armed groups for their own purposes. Only a few small classrooms were used for Saudi-style religious instruction. Despite 7 years of imperial war against Syria, most Canadians find evidence-based assertions about Syria and Syrians to be ridiculous. Why is this? The broad-based ignorance is largely a product of our “colonial” monopoly mass media, which is an echo chamber for criminal war propaganda. 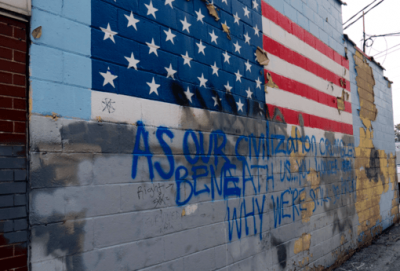 We have allowed this colonial mindset, coupled with a sophisticated apparatus of deception, to blind us to the reality to which we are accomplices. The reality is an overseas holocaust where Western barbarism is slowly but surely being defeated as the world tilts towards a multipolar orientation. 1. 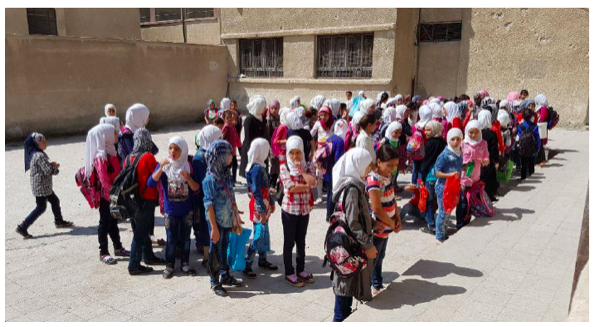 Prof. Tim Anderson, “After Years of War, East Ghouta’s Schools Reopen.” American Herald Tribune, 24 September, 2018. 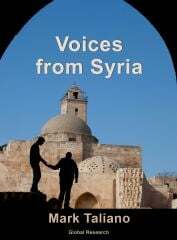 ( https://ahtribune.com/world/north-africa-south-west-asia/syria-crisis/2492-east-ghouta-schools.html) Accessed, 26 September, 2018.